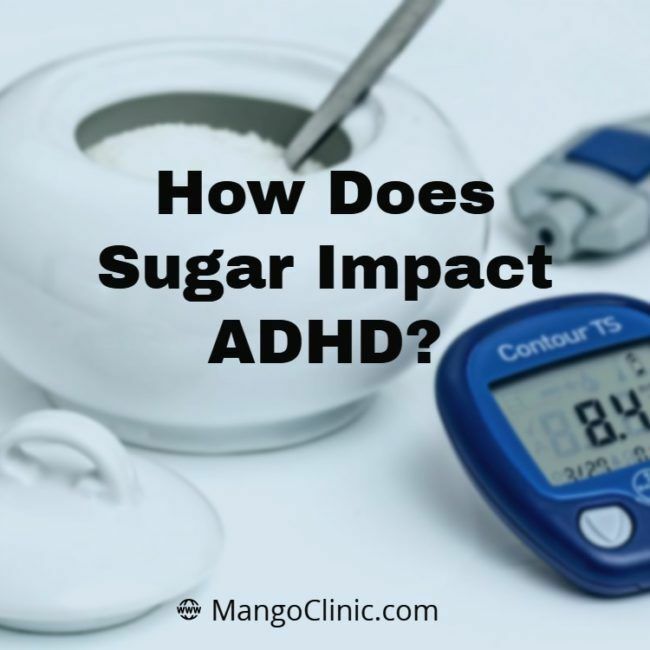 How Does Sugar Impact ADHD? Do you know the impact of sugar on your ADHD? Reports from a Yale University study show increased inattention in ADD patients who consumed high-sugar diets. The University of South Carolina conducted another research. It has also shown that hyperactive children who consume large amounts of sugar tend to be more restless and destructive. However, other studies found no correlation between high sugar intake and increased hyperactivity in ADD patients. 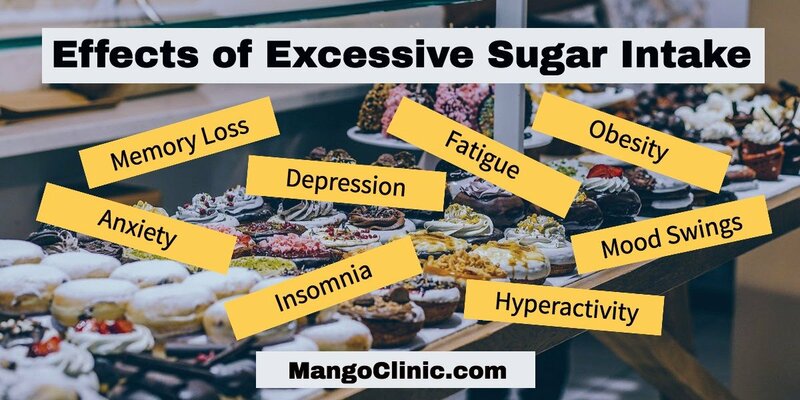 The truth is that sugar affects the functioning of the brain and since ADD is a neurological condition, sugar does have some effect on ADD symptoms. Sugar comes in many forms including sucrose, corn sweetener, dehydrated cane juice, corn syrup, dextrin, dextrose, maltodextrin, malt syrup, sorghum syrup, maltose, rice syrup, saccharose, molasses, and sorghum. When you consume carbohydrates, the body converts them into glucose (a kind of sugar), which the muscles and organs (including the brain) use as an energy source. The neurons within the brain are unable to store glucose, and as such, they require a constant and steady supply. If the neurons within the brain receive a larger than normal supply of glucose, the body tends to become hyperactivity and experience sugar crashes. It should be noted, however, that there is “good” and “bad” sugar. “Good” sugar is obtained from the breaking down of complex carbohydrates and fruits. Complex carbohydrate takes longer to be processed and digested, and as such, they release energy (in the form of glucose) to the body over an extended period. Fruits release glucose at a steady rate due to the presence of fiber. On the other hand, “bad” sugar refers to the refined sugar present in soda, candy, and cookies. The effects of refined sugar are almost instantaneous. The brain becomes flooded with glucose, resulting in the release of serotonin which makes you feel happy. The spike in the level of blood sugar causes the pancreas to produce large quantities of insulin, in a bid to absorb the sugar. Once this happens, you will begin to “crash,” causing feelings of tiredness and loss of focus. Consuming large amounts of sugar over time leads to memory loss, issues with processing information, anxiety, and depression. All of these are symptoms adults with ADHD and ADD tend to exhibit. Aside from obesity and diabetes, adults with ADHD are susceptible to hyperactivity, fatigue, mood swings, insomnia, alcoholism, drug addictions, etc., all of which are exacerbated by the intake of large amounts of sugar. Does Sugar Worsen the Symptoms of ADHD? There are no studies showing that sugar causes ADHD or ADD. Nevertheless, too much of it could result in behavioral tendencies that mimic its symptoms. It is obvious that sugar does worsen the symptoms in patients with the disorder. Therefore, it is a good idea to watch your sugar intake, especially refined sugar. Eating a healthy, balanced diet ensures a stable, steady supply of blood sugar for your body all through the day. This will lead to increased mental focus, balanced moods and improved attention. Some ADD patients believe that mega doses of minerals and vitamins can help alleviate the symptoms. There is little evidence that nutritional supplements can help manage ADD. In some cases, such supplements interact with and affect the functioning of ADD medications such as Adderall. 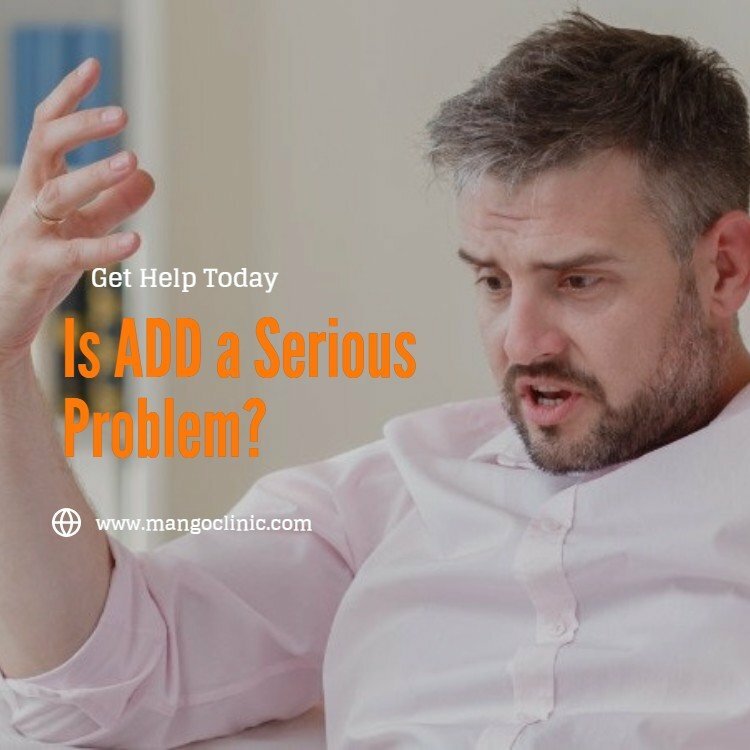 It is always best to talk with a professional about the symptoms of ADD. Discover what the best type of diet for ADD patients is. Some foods and supplements may worsen the symptoms. 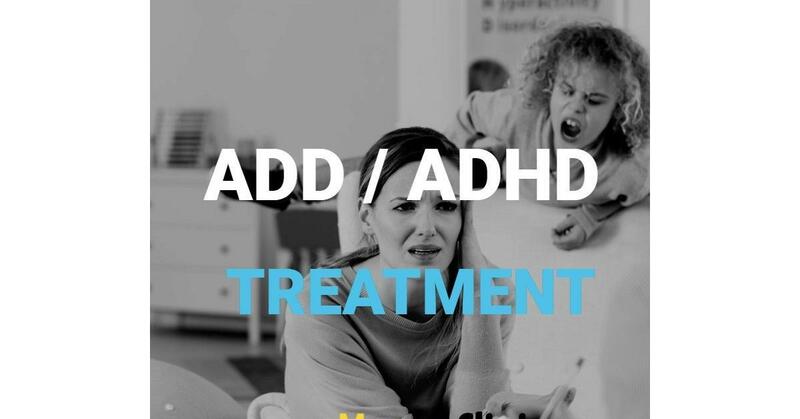 The good news is that ADHD/ADD is a manageable condition and with the right professional help, you can live a remarkably productive life. 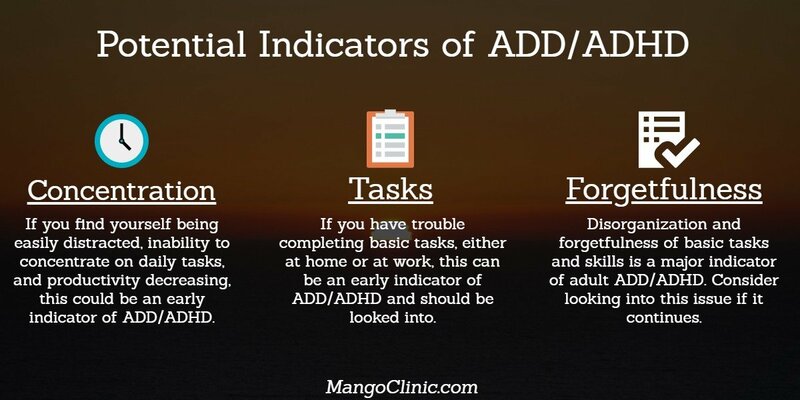 If you would like to meet with a qualified physician to discuss your ADHD/ADD, please schedule an appointment by calling Mango Clinic in Miami at +1 (305) 776-2898.